The best tape measure is the one you have with you. Over 15 different tools means you’ll always be prepared. Get the right measurement everytime by choosing the right tool for the job. 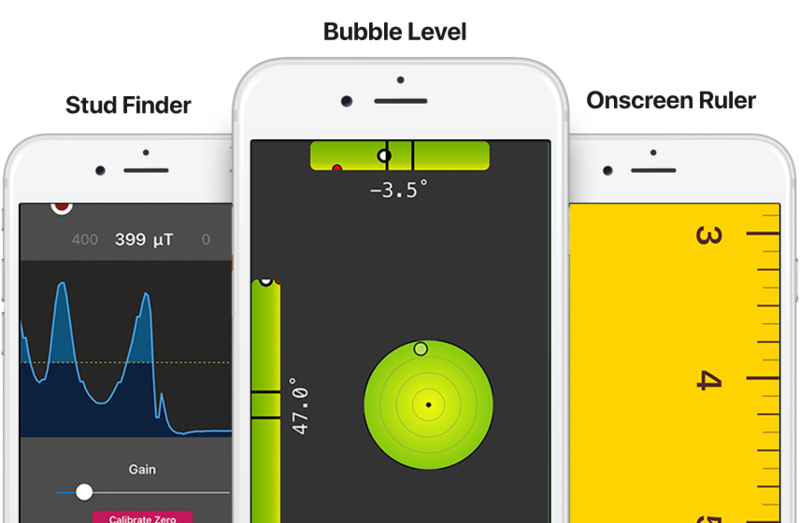 From measuring to design, try one of the 18 powerful tools. Buying a new couch? Place a virtual one first to make sure it fits. Chart a 3d path as you walk around. Get the total length of your path. Find height of your house or other tall things by restricting to the vertical direction. Project a virtual level line on the wall to get those paintings lined up! Fit a cube around an object to quickly get the width/height/length. Perfect for shipping. 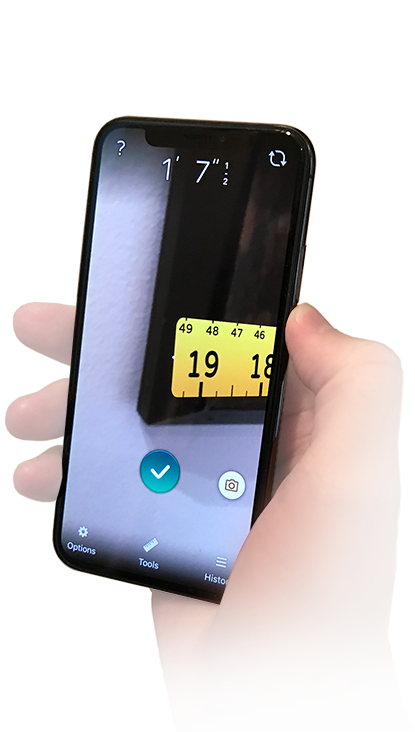 Face detection automagically estimates your height from the camera view. 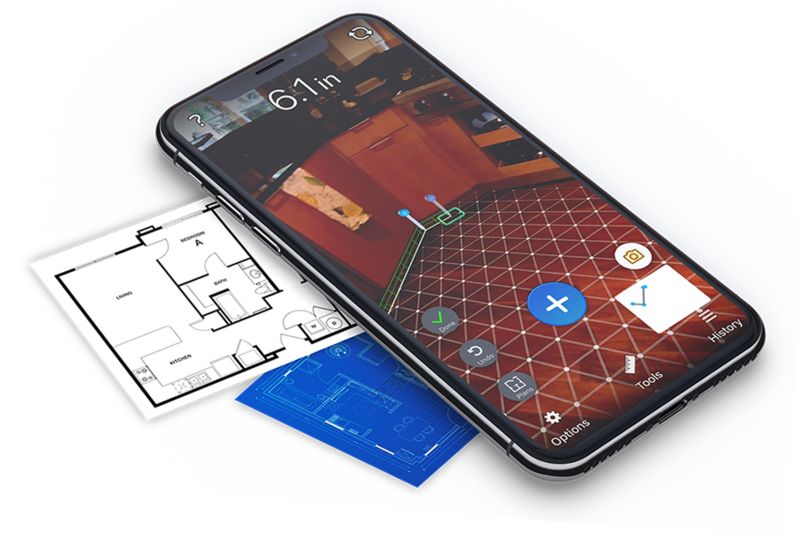 Capture and share floor plans directly from your camera. Add furniture and other objects in the 2d editor. 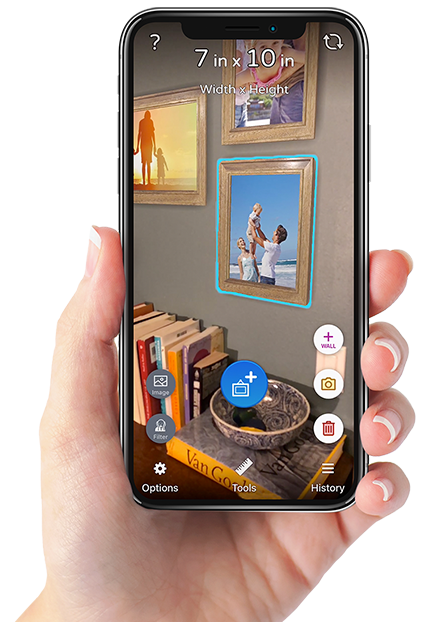 Hang a virtual picture frame using your own photos. Get the dimensions right before purchasing a frame. We’ve bundled a few extra tools we thought might help around the house. For a limited time, we're giving the app away free.